VP of Global Product Development Mary Barra takes leadership position at Detroit automaker. This is a special group. Report from ABC. I am Rebecca Jarvis in New York with -- ABC news digital special report on the first female to run -- Detroit auto maker. I've worked -- General Motors for 33 years and I've always known it's a great company to many women of General Motors are so dedicated. And I truly believe we have the best team on the field so it's an honor for me to be able to lead this team and to continue the momentum to have the best cars trucks and crossovers with the highest quality. And continue to drive value for our shareholders and all of our stakeholders. That was Mary bear she is the new CEO of General Motors taking Dan Akerson -- plays when he retires early next year. -- has spent as you just heard from her a lifetime and General Motors and she's been responsible most recently. For product development around the globe for the past couple of years. So who is this -- house behind -- major auto -- what we want to bring in Michelle -- she is senior analyst from Edmunds dot com and she's joining us. From Detroit nice to see -- Michelle. So what really know about Mary. There merry little bit out. Or old are you aren't. Or -- the I'll look she comes. Problems. -- -- -- the she would blow her. Opinions. As I understand it she also has spent in this role of product development over the last couple years she's really been focusing in -- engineering skills certainly coming in handy focusing on. The hybrid cars and the electric cars which. In much larger numbers are becoming the bigger sellers here. -- about. -- 0000. And. -- -- -- -- -- -- -- -- -- -- -- -- -- -- -- -- And or. What. One good old bird. -- And fuel efficiency clearly for consumers has become -- more important they have heard her say in the past she just wants. A little bit better she just wants to keep pushing it so that he gets a little bit -- and and that for General Motors has been a key to their strategy too they're coming back from the break. Which they face that uncertainty in 2009 we know yesterday the United States said that the treasury has now completely exited. Its investment in General Motors so it's no longer government motors but we also heard from. Dan Akerson today that this. Announcement came a little bit earlier than people were anticipating from him and part of that is because his wife. Is that sadly is facing I'm very serious cancer. We would be -- And -- corporate. -- -- -- -- -- You mentioned also that her background is engineering her father spent his career also working at General Motors -- she really does have -- in her blood and I read. Her number one car when she was a kid she fell in love with the read -- Chevy Camaro that was her dream car -- vintage red. Camaro but she ended up going with last. Expensive less fancy car as her first car I think it was -- shabby it was a it was a -- Said that. And and I wonder now in terms of what her goals should be and will be at GM. What do you think the number one thing she needs to start off working towards will be. Well I think. -- In the product it. -- -- -- -- -- -- -- -- -- -- -- -- -- -- -- -- -- -- -- -- -- -- -- -- How is Detroit this morning and viewing the fact that there's now a woman. Running one of these companies. -- -- -- -- Look. -- or. Are they get what you -- for -- -- -- -- -- -- -- -- -- -- -- -- Could not agree with you more it's where the jobs are in it's where the best paying jobs are right now in this country we wish. Mary parent of very bad stock is up 60% so far this year we hope -- keep it going to shell crabs thanks so much for joining us. 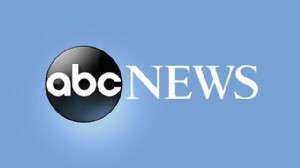 Thank you have a great when everybody stay in touch with us on abcnews.com. 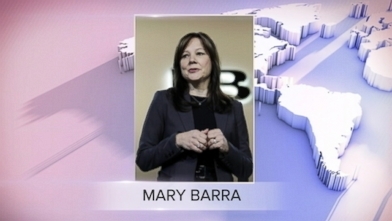 Barra, 51, will become the first woman to head a U.S. car company. GM CEO has environmentalists escorted off the stage during his speech.